Rocky Horror star Victoria Justice wore the most incredible dress tonight at the 43rd People’s Choice Awards, and it is giving us strong 1920s vibes! It is always so cool to see what kind of looks stars will rock on the red carpet, and this one definitely ramped up the glamour. Justice stunned in this outfit while on the red carpet and while presenting Blake Sheldon with his PCAs for “Favorite Male Country Artist” and “Favorite Male Album”! First of all, take in all this sparkly gold glamour! There are just so many sparkles! We cannot get enough of this glamourous look! We’re also loving the confident pose Justice is owning with both hands on her hips. As much as we’re getting 1920s film starlet vibes, we’re getting a tiny bit of ~warrior princess~ too. Now let’s check out that beading. Taking a closer look, we can tell that there is such amazing attention to detail in the beading on this dress! As much as we love the gold, we’re loving the white and silver sparkles too. They seriously catch the light from every angle, and add to the stunning effect of this look. We’re also totally into the high neckline and the drapey bead strings over her shoulders. All of this together is giving us such great flapper girl vibes. And Justice’s subtle makeup just helps show off the sparkly oomph of her dress. Also these shoes are just SO GOOD. Who doesn’t love a metallic strappy heel? Especially in this case, it’s the perfect elegant shoe to go along with this incredible dress. 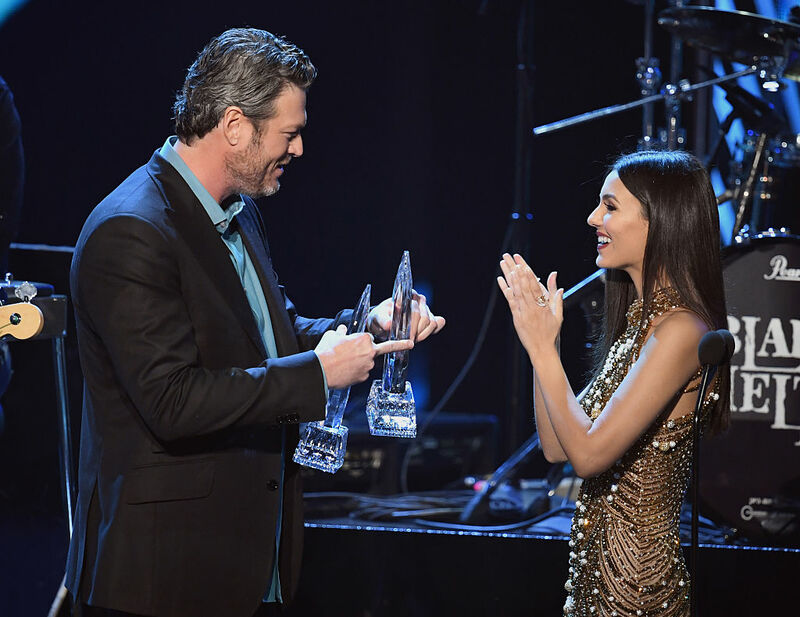 And here she is of course presenting PCAs to Blake Sheldon! Sidenote: there is seriously so much adorableness going on in these photos. So thank you Victoria Justice! Your outfit is incredible and totally gave us visions of 1920s flapper girls and film starlets. We’re completely inspired and need to get some sparkly, beaded dresses in our lives right this second.